In the ever-growing Scottish music festival calendar, the Homegame remains something of a well-kept secret. 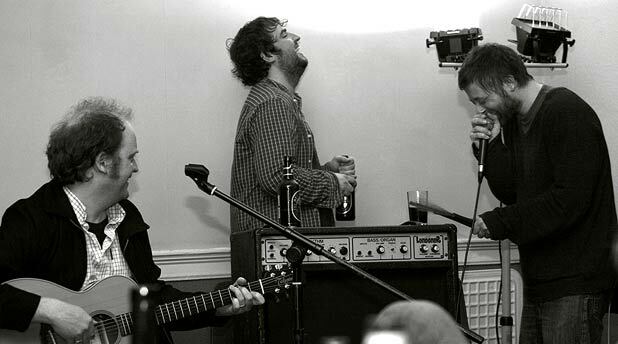 Despite a steadily increasing profile since its inception six years ago, the weekend, run by Fence Collective head honchos Kenny Anderson (aka King Creosote) and Johnny Lynch (aka The Pictish Trail), remains a good-natured, cosy, boutique affair, and that’s just the way they like it. Set in the stunning environs of the fishing village of Anstruther in the East Neuk of Fife, the event grew out of Sunday Social all-day gigs and was originally planned as a showcase for the multifarious acts that make up the Fence Collective’s eclectic roster, but gradual expansion has made it a much more diverse and expansive affair. One of the keys to Homegame’s success is that it hasn’t lost any of its initial charm despite its steady growth, a mistake Lynch was keen to avoid. This year’s festival, with gigs scattered around various venues in the town, has a capacity of 700, twice what it was last year (‘There are still a few tickets left!’ Lynch rants hopefully). This increased size will certainly make the queues for the chippies busy come teatime, but it could’ve been a lot worse. Fence has an unfair reputation as an insular folky outfit, when the reality is the exact opposite. The collective’s roster contains everything from quality electronica to dance music, full-on noisy rock bands to wonky singer-songwriter experimentalism, as well as a quality core of Scottish folk and traditional sounds. Homegame, Antruther, Fife, Fri 17–Sun 19 Apr.